Heart Rate Variability (HRV) Feedback is directly related to autonomic nervous system (ANS) activity and many years of research point clearly to the relationship between HRV and brain function: in other words, the better your HRV patterns, the better you are able to use your cognitive and creative abilities. Furthermore, "coherent" heart rhythms are correlated with an enhanced ability to manage stress and a better functioning immune system. 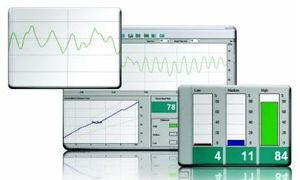 The "Emwave" is an HRV Feedback tool backed by over twenty years of extensive research completed by the The Institute of Heartmath. It is easy to use and understand and regular practice of some very simple techniques yields tangible results which are not just experienced by clients in the way they think and feel better but can also be measured. I have been using this technology since 2003 with very positive outcomes, especially for stress and anxiety-related issues and many of my clients have been so impressed with the Emwave, that they have purchased their own equipment (it is relatively inexpensive and very user-friendly! ).